Scissors often get used as knives when they're the only blade readily available, and it's always... well, a little risky. 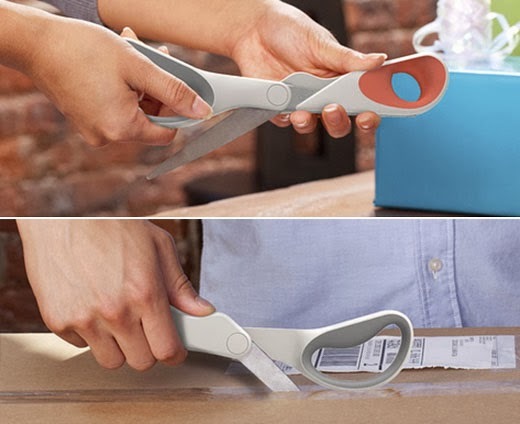 Quirky has a clever design fix: Sheath Scissors, which safely protect the other blade in the fully-open position. More cutting (of stuff) with less cutting (of fingers)!